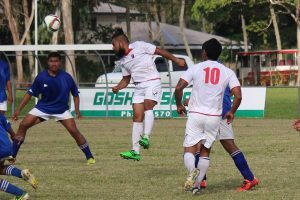 Veitongo book their seat to the OFC Champions League 2018 Qualifying tournament today when they beat Ha’amoko in their final game 3 – 0. 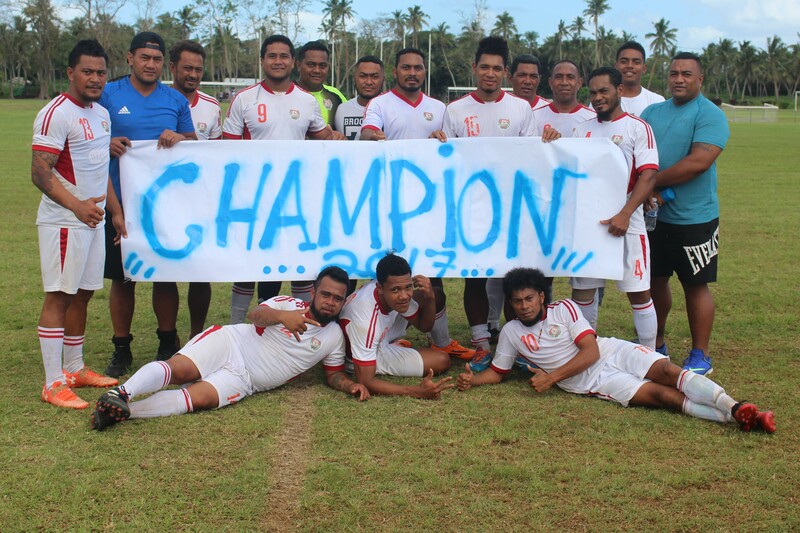 This is the fourth time Veitongo claimed the winner of the Tonga Football major league since 2014. The Veitongo team consist of former and current national football players including their head coach and assistant coach is Kilifi Uele and Timote Moleni and today’s game they both played. Uele hold a B Licensed certificate while Moleni currently undertake the OFC B Licensed certificate. ‘’I want to thank our boys for their commitment and fully dedication in today’s game, they played a very simple game and I think that is why we won the final today,’’ Moleni says. ‘’I also wish to give the credit to the Ha’amoko team for playing a great game,’’ Moleni added. ‘’Our first goal was from the penalty shoot that I did, and I’m so excited that I scored a goal for my team,’’said Moleni. ‘’Now we will celebrate our victory but for next week, we will all come back into preparation as we will participate in the upcoming OFC Champions League 2018 Qualifying in January. Veitongo was too strong and very enthusiastic right from the beginning of the match, and they played very simple game and they marked tightly their opponents. In the 20th minute, Timote Moleni kicked a penalty shot, and Veitongo lead 1 – 0. In the 50th minute one of the Ha’amoko’s defender hit the ball back with his head and the ball went in to the net and that’s another goal for Veitongo 2 – 0. Then in the 82th minutes, Veitongo’s striker, Hemaloto Polovili screened the ball away from the Ha’amoko’s defenders then he just slowly passed the ball to the goal but the Goal Keeper could not stop or save. And Veitongo still lead 3 – 0. Ha’amoko players were very young and they appeared to be very fit, but they need to work hard on their finishing. Coach Koliniasi Vakatapu said he was not surprised to see Veitongo take away the title. ‘’I wish to congratulate Veitongo’s team for defending their title. They did well throughout the session and I’m sure they deserved to win,’’ Vakatapu says. ‘’I know we were not lucky this year, but we will continuing to build up our club so in the near future, Ha’amoko will take the title,’’Vakatapu added. The OFC Champions League 2018 Qualifying will take place in American Samoa early January 2018 and the Veitongo FC will compete in the first leg. Wishing the Veitongo team and officials the very best in the preparation for the up coming tournament.